The vegan trend is the latest craze among London foodies. According to observers, being vegetarian is the current lifestyle trend in the UK and keeping in tune with the choice, a new band of vegetarian restaurants is attracting those who want to be in control of their food habits. That the trend is fast growing is evident from the participation level in Veganuary, a charity event that started from January 2014. Its aim is to campaign for popularising vegetarian food by making vegans give up animal food for a month. There are about 120,000 vegans in London according to a survey conducted by the Vegan Society. They would be delighted to try out the food at some of the best restaurants in London for vegetarians that find a place in this article. At the heart of Clapham Old Town, lies the privately owned restaurant Trinity that offers vegetarian delicacies that are delicious, inspirational and seasonal. In its journey of ten years, the restaurant has won several accolades including the Michelin star. Whether it is a casual outing with friends and colleagues or it is any private function, the venue has arrangements for all. The restaurant will always live up to your expectations about vegetarian foods because of its ability to continuously stick to their commitment to providing guests with the most memorable experience in vegetarian cuisines. This Spanish restaurant at COMO The Halkin in Belgravia accommodates vegetarians with aplomb. The menu is rooted in traditional cuisines from the Basque region of Spain and carries the natural flavours and cooking techniques of the place that is nicely blended with modern twists of locally sourced organic ingredients from sea and land. The Spanish touch is evident everywhere in the restaurant decor that derives artistic inspiration from the original Arzak restaurant in Spain’s San Sebastian. Make a choice of cuisines after going through the sample menu. The ultimate experience in vegetarian foods awaits you at Amesta with Arzak Instruction. If you are looking for contemporary vegetarian British cooking in the heart of West End, then Tredwells is the place that will never dishearten you. It is not the food alone that made this restaurant earn the tag of AA’s London Restaurant of the Year. The cocktails served with live music from Monday to Sunday at the two bar areas have contributed immensely to the reputation of the eatery. Whether it is lunch or dinner, you can pick the vegetarian dish prepared from the seasonal produce of the land that will leave a long lasting effect on your taste buds. 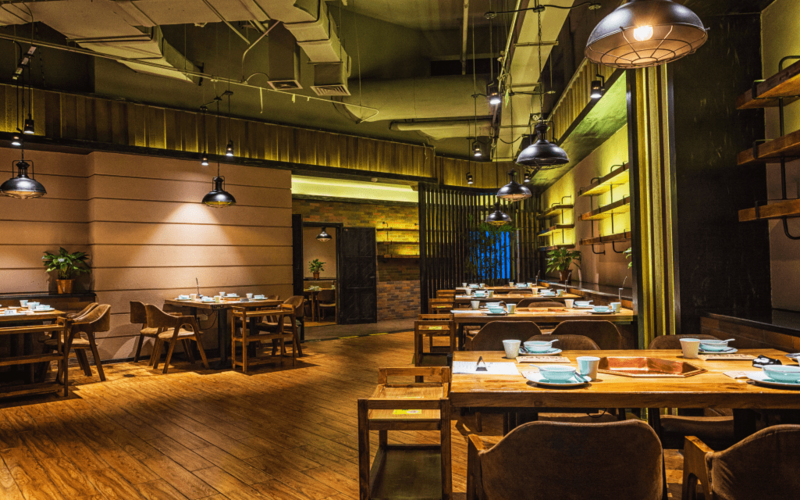 The restaurant typically is an urban meeting place that not only includes vegetarian dishes on its menu as a ritual but also specialises in catering to vegetarians. To create a vegetarian-friendly atmosphere, the restaurant staffs are ready to help guests in selecting a vegetarian menu that they would like. The restaurant sources its ingredients from all over the UK and the menu is inspired by the seasons. It is an ideal place to eat, drink and socialise. Timothy Foran is a food geek who also loves to write about restaurants that impress him the most. A self-confessed vegan, he spreads the message of turning herbivore through his writings on best restaurants in London for vegetarians. Photography is his hobby, and he loves backpacking for weekend trips.